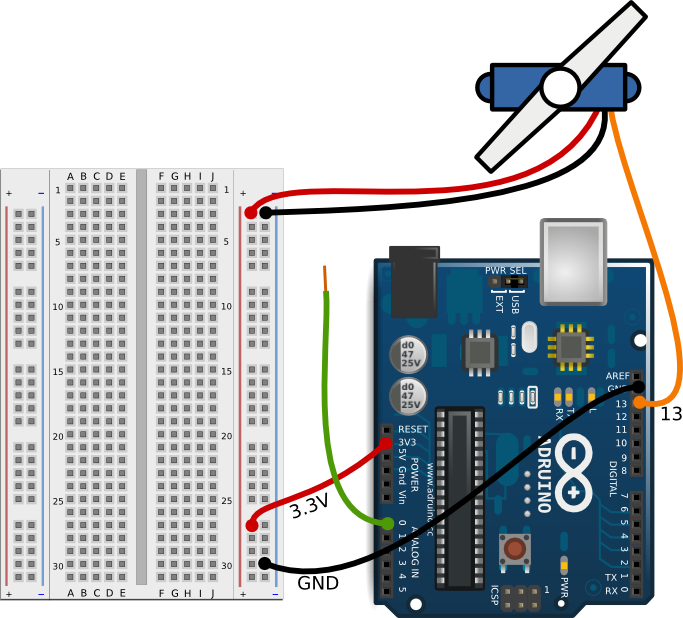 In this episode, learn how to read and write input and output from the Arduino. Hosted by klaatu on 2015-01-26 is flagged as Clean and is released under a CC-BY-SA license. 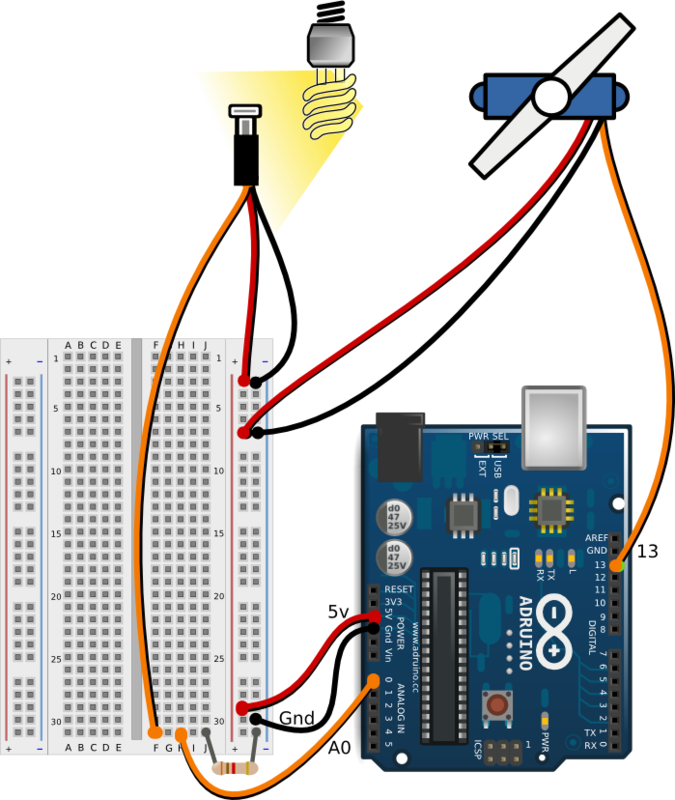 And here is a bonus diagramme that you can try to create, using a light sensor, servo, and resistor. Really enjoying this Klaatu. Very timely as I'm getting my 10-year-old son into playing with his arduino and breadboard. Not only that, but we're using Slackware! So I'm picking up lots of useful tips from this series. Very enjoyable show. I would consider getting an arduino if I can find a use case for it. Looking forward to the next show.